With its central location, Danhostel Copenhagen Downtown is within easy reach of most tourist attractions and business addresses in Copenhagen. All hotel's guestrooms have all the conveniences expected in a hotel in its class to suit guests' utmost comforts. Each guestroom is fully equipped with television, shower. 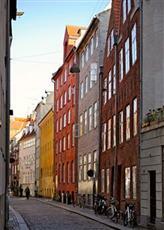 This beautiful Copenhagen accommodation provides bicycle rental, WiFi to suit all guests' utmost convenience. With elegant facilities and hospitality, guests at this hotel will surely have an impressive stay. To book a room easily at the Danhostel Copenhagen Downtown, please submit your travel dates and proceed with our secure online booking form.